Смартфон Nokia 7.1 от HMD работает на чистой ОС Android, что автоматически освобождает его от ненужного мусора, вроде сторонних и рекламных приложений. В качестве результата, мы должны получить минималистичную и быструю систему, способную справиться даже с требовательными приложениями. Как дела обстоят на самом деле и насколько хорош Nokia 7.1 относительно конкурентов, вы узнаете из данного обзора. Двойная камера неожиданно порадовала. HMD Global не ударилась в маркетинг и не стала устанавливать в смартфон по четыре объектива, однако имеющиеся два обеспечивают высокое качество снимков, аккуратное размытие фона в режиме открытой диафрагмы. Конечно, до флагманских iPhone, Samsung или Huawei еще очень далеко, но в своем среднем сегменте Nokia 7.1 может поспорить практически с любым конкурентом. В одном из недавних обзоров мы ругали смартфон Nokia 6.1 Plus за «скучность» и отсутствие изюминки. Его собрат за номером 7.1 совсем не такой. Он сочетает отличный экран с поддержкой HDR, двойную камеру с оптикой Zeiss, хорошую производительность, датчик NFC, чистый Android 8.1 и вполне адекватный ценник. Добавьте к этому название легендарного бренда, и вы получите смартфон, который явно обращает на себя внимание. The Nokia 7.1 offers a winning combination of great performance, killer looks, and up-to-date Android software for a reasonable price. Despite some frustrating issues with the software, I've found the Nokia 7.1 to be a very enjoyable phone overall. I can breeze through almost everything I do on it, the screen is absolutely beautiful, and the camera usually produces very pleasant results, with vibrant colors that make pictures feel really alive. I also love the simple, but attractive design of the phone, with the silver accented edges really adding the right amount of flair to an otherwise plain look. The Galaxy A9 looks very similar to the Galaxy A7, but the A9 got an additional camera. While the Galaxy A7 sports triple camera, the Galaxy A9 took a step further by offering new innovations in the form of a quad-camera setup on the rear side. 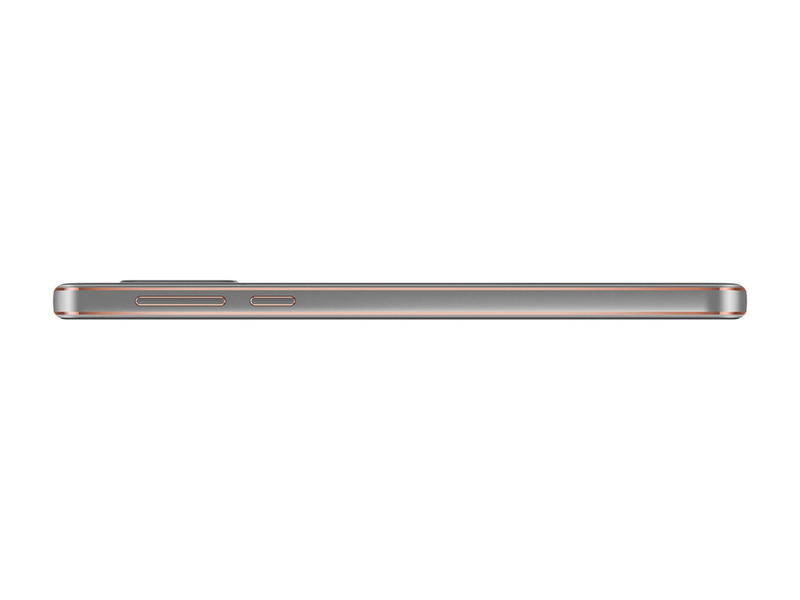 That said, the phone follows Samsung’s glass and metal design language. There’s no flex whatsoever, but the delicate glass body can be cracked easily if it falls on the hard surface. I recommend a case just to protect the delicate back glass panel. The fingerprint sensor is right above the Samsung logo and it was easy to unlock my smartphone with one hand. Apart from the fingerprint scanner, the Galaxy A9 has included facial recognition which works like charm. The Nokia 7.1 is tough to recommend because of its performance issues that left a dark cloud over my enjoyment of it, but it’s still worthy of some consideration. At $350, this is the phone to beat going into 2019. The design feels significantly above what you pay for it, and it delivers performance that can get pretty close to matching phones double its price. You’ve got a ton of storage (64GB, with a microSD card slot), it has a headphone jack, and the camera’s not bad. The phones that do these things better are going to cost quite a bit more, and in some cases, you’re losing either the headphone jack or microSD card, if not both. The Nokia 7.1 is an elegantly designed smartphone at a budget price tag of Rs. 19,990*. It offers some premium features such as a HDR display, great camera and solid build quality, which can be great for everyday use. With the Android One support and its frequent security updates, this phone is a good future-proof option. However, the lack of top-end hardware can sometimes be noticed. If your daily activity demands use of graphic intensive applications and games like PUBG and Fortnite, you should consider the Nokia 8.1 which packs a more powerful piece of hardware such as the Qualcomm Snapdragon 710 and Adreno 616 GPU. Overall though, the Poco F1 is definitely a better package. While Nokia 7.1 and Poco F1 are at par at most of the features and specifications, the Poco also has a better battery performance. The lower variant of the Poco F1, which is priced at Rs 20,999 (just Rs 1,000 more) also comes with 6 GB of RAM, as compared to 4 GB RAM on the Nokia 7.1. Though you must consider that Nokia 7.1 vs Poco F1 means, Android One vs MIUI OS. So, unless Xiaomi's custom UI is a problem, I'd say go for the Poco F1, no bargain here. But if you are looking for something stylish, the Nokia 7.1 is a better choice. But the software is the biggest selling point here. There are a few Android tricks that Google keeps for itself, like its fancy moving wallpapers and unlimited full-res photo storage, but for all intents and purposes using the Nokia 7.1 is like using a Pixel phone. It's clean, reliable and intuitive, and for some it will be tough to argue that the extra bit of power and sophistication you get with a Pixel 3 is worth another $700. While Nokia 7.1 remains the cheapest HDR display smartphones right now, it is far from being a Value For Money (VFM) device. If you want a reliable Nokia device under Rs. 20,000, Nokia 7.1 is a good option. In case if you are specific about Android One, you can check out Moto One Power or Mi A2 at slightly cheaper rates. If you care about performance and gaming, POCO F1 is a very good option at the same price. 80% Nokia 7.1 review: Stunning design and display, but is the price right? Nokia 7.1 is one of the most good-looking phones in this price segment in my opinion and the display stands out as well. Plus, you get Android Pie experience on this budget device. But its biggest competitor I feel is Nokia’s own 6.1 Plus which has a similar design and same processor at a lower price. Another option is the Xiaomi Redmi Note 6 Pro, which is made of aluminium 600 series, has a splash-resistant coating, and Snapdragon 636 as well. Is the Nokia 7.1 worth upgrading to if you already own a mid-range Nokia phone? The short answer is no, especially if you have something like the Nokia 7 Plus, which sports many of the same specifications sans screen notch. 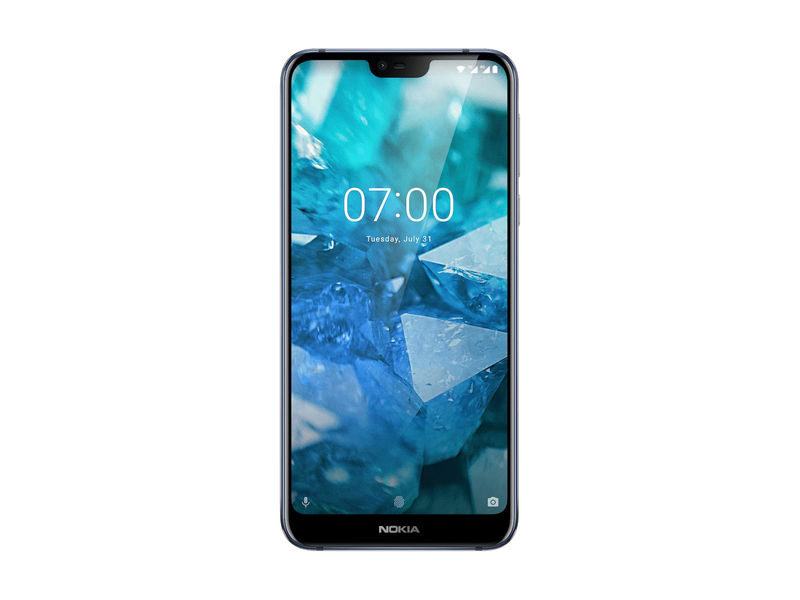 If, however, it's been awhile since you bought a new phone and you're in the market for a mid-range device, your money would be well spent on the R6k Nokia 7.1. The Nokia 7.1 is just a more polished Nokia 6.1 Plus and at the end of the day you will have to ask yourself whether you're willing to spend a little extra for a few premium features. The few new technologies such as the PureDisplay screen offers a noticeable improvement in the display. The Zeiss camera also offers better low-light performance than before. If these are features that matter to you a lot then the Nokia 7.1 makes sense, otherwise one should rather stick with the Nokia 6.1 Plus. The Nokia 7.1 scores big on display and camera but falls short of its competitor when it comes to performance. The design of the phone makes it a classy looking thing, but the lack of a TPU case in the box is concerning due to the all-glass construction. Its not an all-rounder, but it is great for people looking for a smartphone with a good camera in this budget. Power users might be better served by Poco F1 (Review) and Honor Play (Review), which are powered by flagship grade processors. However, the all-plastic Poco F1 does not look or feel as premium as the Nokia 7.1 and both MIUI and EMUI are cluttered and laden with third-party bloat. For the average joe, the Nokia 7.1 would make for a solid everyday smartphone. On paper, the Nokia 7.1 looks like one of the best phones at the price, but it's let down by poor battery life and general performance. As you can probably guess, I am very taken with this second-generation Nokia 7.1. Nokia has pulled another rabbit out of the hat. There are no deal breakers; it offers features common to devices at twice the price (including the Nokia 8.1 Sirocco). The Nokia 7.1 isn’t a device without caveats but I think it’s one that’ll pay off for those looking to get a decent smartphone at a decent price. Nokia has quietly released one of the most exciting inexpensive phones of the year in the Nokia 7.1, a well-designed phone that delivers first-rate performance. 90% Nokia 7.1 review: One of the best smartphone values available in the U.S.
Nokia knocked it out of the park with the Nokia 7.1. It looks and feels great, has a gorgeous display, excellent battery life, and much more. Performance can be a little sluggish at times, but for just $350, you're getting far more than your money's worth. With the Nokia 7.1, the brand continues its run of impressive mid-range phones carrying close-to-stock Android. While the phone has weaknesses, overall it offers better quality and features than you would expect at this price. 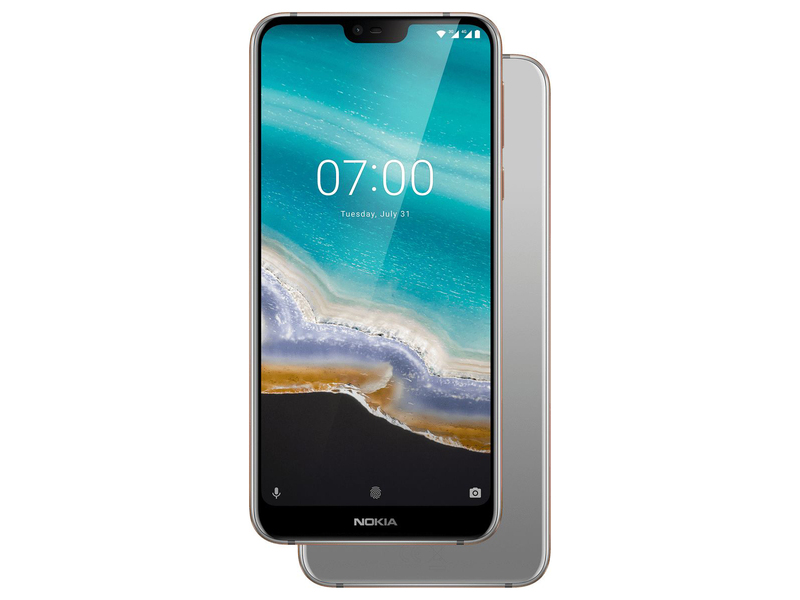 The Nokia 7.1 is only available from Spark in New Zealand. It’s an ideal choice for someone looking to get more phone for less money. If you buy phones for employees or for younger family members this will stretch your money further, with few compromises. You aren’t getting something fancy like an in-screen fingerprint scanner – the fingerprint scanner is across the again, as regular. With a thickness of 8mm it is also barely chunkier than a few of the finest telephones round, although you are probably not going to note the distinction. Like the Motorola One before it, the Nokia 7.1 is a good phone that simply can't compete with the best from Honor and Xiaomi. The biggest letdown here being the performance, which is a mar on an otherwise well-designed and pleasing device. So, if you are keen on having one of the best Android One phones on the market, go and test the Nokia 7.1 for yourself. You may find it surprisingly fitting if blazing-fast performance isn't a must. Despite the crowded mid-range the Nokia 7.1 is one of the better choices for a smartphone in the price range in what is a very crowded market. 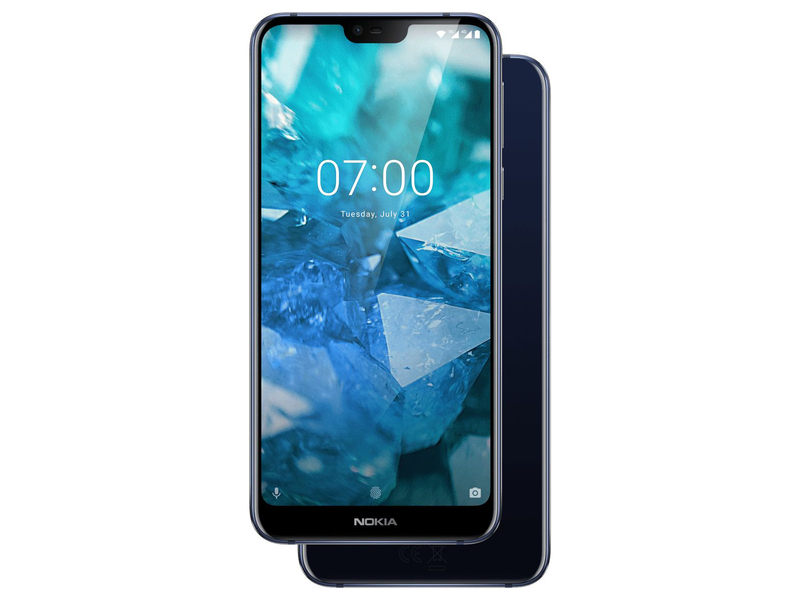 Nokia’s rendered an attractive handset with some capable hardware and a nice unique selling point for just a touch more than the likes of the Motorola One and Honor Play. Nokia Mobile is now in the top five of Android smartphone manufacturers and it's no wonder: the phones are great. Looking at this handset, it's really rather hard to justify spending double on a flagship handset even if some of the specs - notably the camera - are significantly better. Its generic but solid design is improved with an above average display and the ongoing attractiveness of opting for Android One mean it’s a phone we will fully review with interest and could be the sweet spot for Nokia’s busy line up. First we saw the wave of ultra-expensive phones with notches. Now we get the backlash: notchy phones many more of us can afford. That has to be good news, right? It was only ever a matter of time until Nokia started getting noticed again. Once the initial wave of nostalgic joy subsided, the sticky business of putting out phones began, and so far Nokia has hardly skipped a beat. Nearly every phone it’s put out over that last two years has been great. This is no easy feat, not even in the mid-range Nokia occupies so comfortably. Despite the difficulties, the results are showing: Nokia is now in the top ten smartphone manufacturers globally and the top five in 25 markets. Not bad for a less-than-two-year-old effort. The highlight of the Nokia 7.1 is the updated display technology, and with minor but useful improvements to the design and camera this may be one of the best affordable phones of the year. Unless you're into rectangular phones with shiny accents, the Nokia 7.1 probably isn't going to win you over with its looks -- a neutral tone with shiny accents around the buttons and rim. But it might win you over with a combination of its price, which starts at a reasonable $349, and its specs. A midrange device in the US and abroad, the 2018 version of the Nokia 7 aims to excel in the middle ground. It tees up good overall specs and performance for the cost. We liked the Nokia 7.1 and are looking forward to testing out the 3,060mAh battery, the new dual camera and give that HDR 10-compliant display a go at our scientific tests. 60% Nokia 7.1 recensione: sì, ma... no grazie! 60% Test du Nokia 7.1 : oui... mais non ! Prise en main du Nokia 7.1 : le nouveau coup de cœur du milieu de gamme ? Qualcomm Adreno 509: Встроенная в чипсет Snapdragon 636 графика на архитектуре Adreno 500. Работает на более высоких частотах, нежели Adreno 508 Эти графические чипы позволяют играть только в старые и не очень требовательные игры. Графические ядра с разделяемой памятью позволяют достичь более длительного времени работы от батареи и меньшего уровня нагрева. Офисные задачи, интернет, обработка (небольших) изображений и просмотр (не HD) видео для них не составляет особого труда. 636: Мобильный чипсет среднего уровня в 8 ядрами Kryo 260, работающими на частоте до 1.8 ГГц и встроенной графикой Adreno 509. Содержит контроллер памяти поддерживающий стандарт LPDDR4-2666 и X12 LTE модем (Cat 13/12, 300/150 Мбит/с). Производится по 14 нм техпроцессу.